From our unit in Barcelona, Spain we have emerged as one of the top service providers offering the Acoustic Insulation Services. This service that we offer is much in in manufacturing or production units for reducing sound and vibrations caused by machinery. All the materials that we use such as ducts, pipes and boards, to provide this sound-proofing service is of excellent quality. Details : He acoustic insulation properties of a closing like a wall or floor is characterized by the insulation in dB at each of the frequencies in Hz. To arrive at a global parameter, RW(CA;Ctraffic) is normally used. 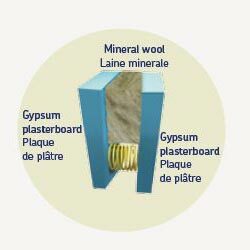 Acoustic insulation depends on the complete building system. For example, in internal walls, it depends on the number and thickness of the gypsum boards used, the distance between metallic joists and studs and the mineral wool installed. This is the reason the results supplied are those obtained in acoustic evaluations of the total solution. The parameters of mineral wool that make it a good acoustic insulator when it is applied using these methods of construction are resistance to the passage or flow of air and dynamic stiffness. These parameters have been fixed in URSA Glasswool and Terra products to deliver optimum acoustic insulation every time. 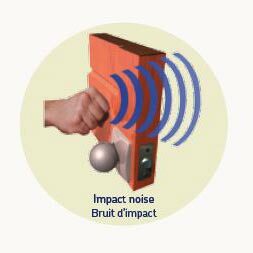 Of course, acoustic insulation in dB will always depend on the complete construction solution. 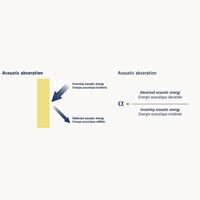 Acoustic absorption is the relation between acoustic energy absorbed by the surface of the product against the total incoming acoustic energy. 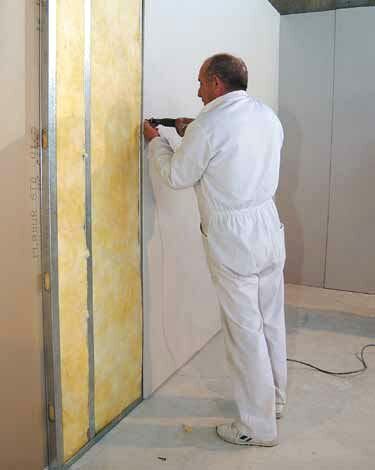 It is not a technical parameter which informs about the acoustic insulation that supplies a product in a specific solution. Acoustic absorption is useful in: Products used for the acoustic conditioning of rooms. For example, URSA Glasswool Panel VN P4222, installed over a performed gypsum ceiling supplies acoustical absorption that reduces reverberation time and corrects the acoustics of the room. Products used in the construction of ducts which reduce the noise propagated through the duct, URSA Air Zero for example.